There are at least three types of munias that have been reported seen in Cuba. These small sturdy finch-like birds can be found along grassy areas, bordering wooded lots. They are attracted by a variety of seeds at birdfeeders. These are the Chestnut Munia, Scaly-breasted Munia and the Tricolored Munia. Some are more popular on other Caribbean islands other than Cuba. 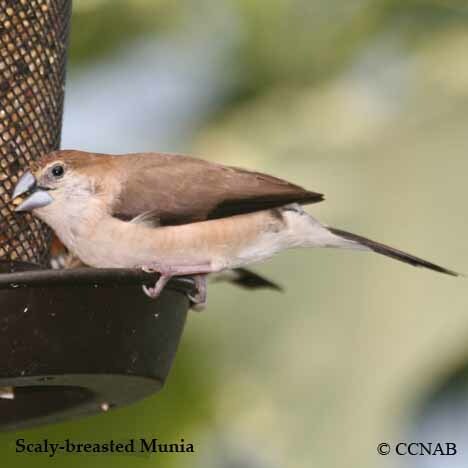 Such is the case with the Chestnut Munia, which is a native bird from Jamaica, others are introduced birds that have been able to establish themselves.